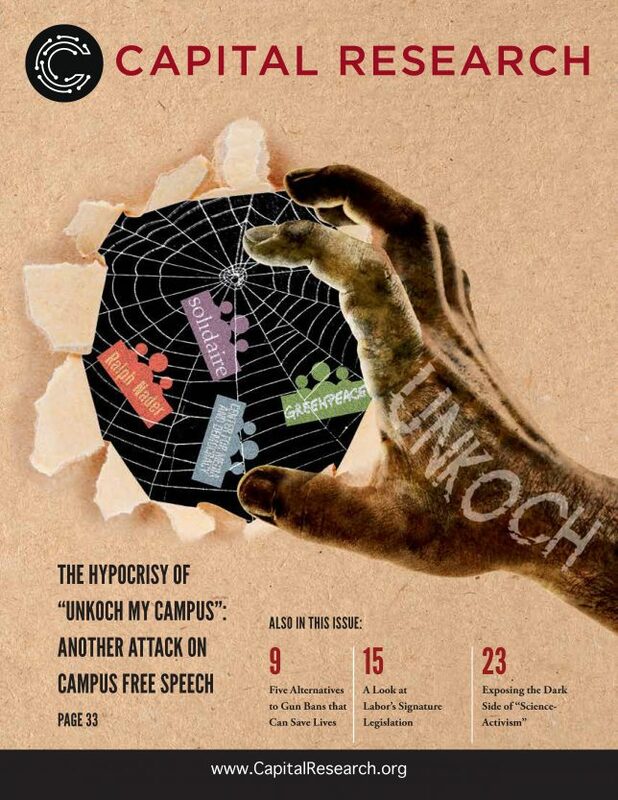 Issue 5 pulls back the curtain on UnKoch My Campus, a small group of activists against so-called “dark money” in higher education. There’s just little problem: this group also receives anonymous donations through its fiscal sponsor, a nonprofit founded by Ralph Nader which obscures how they are funded. Interested in saving lives? Gun control might not be the best cause to support. Steve Warner reveals some of the most effective ways to prevent deaths from firearms without taking aim at Americans’ Second Amendment rights. In this issue’s LaborWatch, CRC’s Michael Watson traces the roots of the National Labor Relations Act as part of FDR’s New Deal and its lingering effects in American politics. Scientists pride themselves on their objective thinking. They work only with facts and phenomena, except when they don’t. Learn about the American Association for the Advancement of Science and its overtly political agenda from CRC’s Hayden Ludwig.